St. Andrews Baptist Church has been serving the Columbia, SC community for more than 50 years. As Columbia has grown and expanded, so has the church. With an aging heating, ventilation and air conditioning (HVAC) system and inefficient lighting, the church decided it was time to make upgrades to their facilities. These upgrades would make the facilities more comfortable for patrons who visit the church. In 2013, St. Andrews Baptist Church applied for and received a $230,000 ConserFund loan from the Office of Regulatory Staff – Energy Office (Energy Office) to partially fund the project. 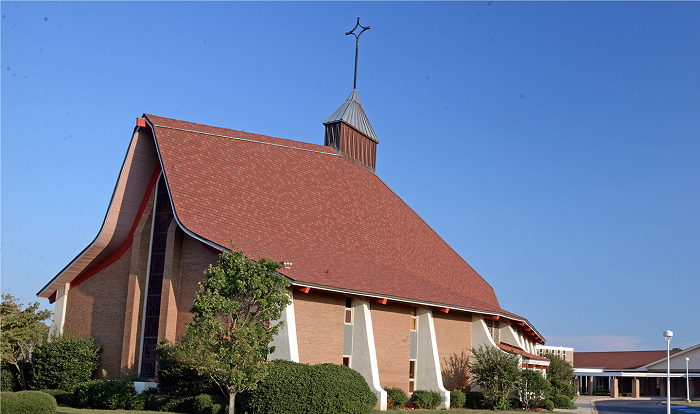 The upgrades save the church approximately $28,000 each year. The simple payback period for the entire project is 12.5 years, with the payback for the ConserFund portion being 8 years. St. Andrews Baptist Church saw the upgrades to its facilities as an investment and contributed over $130,000 to the project. The church also received rebates from South Carolina Electric & Gas (SCE&G) for over $96,000, helping to reduce the upfront costs for the upgrade. SCE&G’s EnergyWise for Your Business program offers technical assistance and incentives for installing proven energy efficiency technologies including lighting, heating and cooling systems, and food service equipment. Existing incandescent lights in the sanctuary, chapel, and atrium were replaced with light emitting diodes (LEDs). The LEDs not only improve lighting quality but also emit less heat than traditional incandescent bulbs, which reduces the burden on the HVAC system. LEDs can last up to 100,000 hours and are expected to maintain 70% of their light output for up to 50,000 hours. The nearly 30-year-old HVAC system consisted of heat strips, a type of electric resistance heating considered highly inefficient by today’s standards, and two 30- to 40-ton compressors for cooling. The old HVAC system only had one thermostat that controlled the entire space. Temperatures could not be adjusted separately for varied uses in different spaces and the system was not performing well. Instead of making patch work repairs, the church took the plunge and replaced an entire 70-ton split HVAC system with a variable refrigerant volume (VRV) system, including 240 kW of duct heat. The new technology circulates only the minimum amount of refrigerant needed at any one time and enables individual climate control of air conditioning zones. Since completing the upgrades, the church reports a 20% reduction in energy use, which is significant for the bottom line. The church plans to reinvest some of the savings from the upgrades into energy efficiency projects in other facilities on its campus. For more information about funding opportunities available through the Energy Office, visit ENERGY.SC.GOV/Incentives.